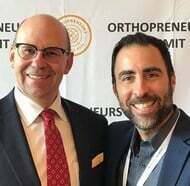 Our CEO recently got the chance to do a podcast with Dr. Glenn Krieger. 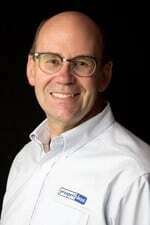 Glenn is an orthodontist and one of the most interesting guys in dentistry. Check it out HERE. Not looking happy, is she? 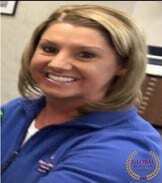 Roxana Dusenek was arrested for stealing more than $400k from the dental practice where she worked. Winter is still hitting many of us full-force, but with March comes the promise of finally being “in the home stretch.” Winter is not a race, but if it were, then March and all of the changes it will bring are certainly a way of feeling that we are close to the finish line. My team and I hope that most of you can answer that question for yourself, without feeling that there is any major work to be done. For others, you may feel that it’s time to have a chat with us or visit our website www.prosperident.com to see if there is something we can do to assist you with a more thorough spring cleaning of your office. For nearly 30 years the team at Prosperident has been proud to serve the dental community, and we hope that you will never need our services, but if you ever feel you want to talk to us about what our team can do for you, we are always here for you, and we are always happy to help. 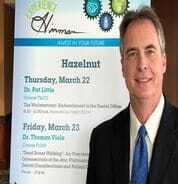 We are thrilled that our CEO is part of the Future of Dentistry event. This is a series of podcast interviews with some of the most influential people in dentistry. You can check it out HERE. 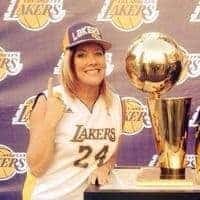 Convicted embezzler, and LA Lakers fan Kristy Corral, before she spent a year in prison for embezzlement. In a perfect world, stealing money would cause one of two issues; either the day-end report would not balance to the bank deposit if the amount stolen had first been entered as a payment in the practice management software. There is nothing more useful, nor more detrimental, in our world than technology. The internet, computers, tablets and our smartphones are powerful tools and have made us the most progressive, connected and prosperous humans in history. But our beloved devices have also done a vast amount of harm. More harm than anyone could have predicted. We’ve all read about the threats to our health, personal relationships, and our culture from being constantly connected. The debates over the health and cultural impacts will continue indefinitely, but I would like to draw to your attention to the risks that technology poses to your practice. Never, ever, EVER, has it been easier for someone to have the ability to wreak havoc on your practice, because you’ve generously provided them with all the tools they’ll need to defraud you – a computer and an internet connection. As surely as technology has solved many of our business issues, like timely bank-runs and ensuring that bill payments are mailed on time every month; technology has made it easier than ever for a team member who is willing to study your habits to steal from you. Practice management software, online banking, and Facebook business promotions are modern miracles for efficiency and growth. However, the flip side of using these amazing tools is that a would-be thief in your office can find a way to manipulate a system or device you use in your practice to steal from you. Technology makes embezzlement easier than ever. Ugh! At Prosperident our mission is to be able to help and support you by developing ways to control, detect and eliminate embezzlement in your practice. We certainly don’t believe that every practice has a thief lurking among its valued team members, but we know that more than 60% of all dental practices will eventually succumb to a team member stealing. We always hope that you are not a part of this horrible statistic, and we will continue to work and grow to be there for you when you need us. Like to win great prizes? Well, then you should “Like” our Prosperident Facebook page to be entered in our monthly draw! Click the button below to view our page. And “Like” us while you’re there. The next draw is on December 1st. She didn’t look so happy after we confirmed that she was stealing! Hear her story and many others. 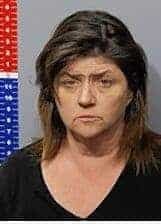 Robin Bernazzani of Durango, Colorado has recently confessed to embezzling more than $500,000 from the dental office where she worked. You can read about Robin in our Hall of Shame, along with about 500 other embezzlers. Remember when, as a child, you thought that your parents knew EVERYTHING? As you got older, you realized that, like everyone else, their knowledge had limits, but at an impressionable young age these boundaries were not apparent. Lots of people claim to have knowledge in our field; in some cases, these claims are supported by professional qualifications and years of experience, whereas others who claim expertise are unaware of the shallowness of their knowledge, or are blindly pursuing what they perceive as a business opportunity. Embezzlement is a highly technical crime. Whether you want your practice’s finances investigated or you wish to avoid embezzlement in future, please ensure that you are dealing with a true expert. Black Friday, Cyber Monday and of course, Boxing Day! It’s official! With Thanksgiving now under our loosened belts, we have entered the season of “perpetual hope.” What better way to kick off the most wonderful time of the year than by getting together with family, enjoying great food and hopefully a few laughs? One Thanksgiving tradition many of us indulge in, besides three helpings of dessert, is taking advantage of the fantastic deals to be had on Black Friday, Cyber Monday, and Boxing Day. It has always amazed me how people (me included!) will buy almost anything that has a sizable discount offered with it. We buy things we need as well as a few things that we will never get value from, no matter how deep the discount. More often than not we purchase unnecessary or poor quality items because an aggressive salesperson made us feel that there was NEVER a better time to buy. The truth is some things are not meant for deep discounts, and what appears to be aggressive price slashing should make you wary. Think denuded beef tenderloin, a rare bottle of single malt scotch, this year’s designer shoes, and of course dental embezzlement investigation products and services. When a deal seems too good to be true, it usually is. I for one will be taking advantage of all of this season’s great deals, but I’m also going to be focused on getting what I’ve paid for. Not all bargains are great deals, and the adage “buyer beware” is worth applying to certain discounts not only during the holidays but all year round! My team and I want to wish you and yours the very best that this holiday season has to offer. Like to win great prizes? Well, then you should “Like” our Prosperident Facebook page to be entered in our monthly draw! Click the button below to view our page. And “Like” us while you’re there. Next draw is on November 1st. Wondering why this woman looks unhappy? She got caught embezzling! 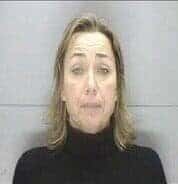 Prosperident’s Wendy Askins has caught more than her share of embezzlers. However, this one gave her particular satisfaction. 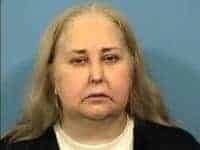 The lady in this picture, Deanna Gray, recently pled “no contest” to embezzling over $400,000 from a Virginia orthodontist. Deanna has yet to be sentenced but is certainly looking at prison time. She has also been ordered to repay $421k to the practice. 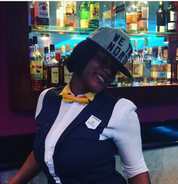 Read about Deanna in our Hall of Shame HERE. We have all seen it — someone fired at one office for embezzling quickly gets hired elsewhere, with their new employer (and next victim) unaware of their new employee’s tainted past. A booming economy, with unemployment levels at record lows, plus an understandable focus on finding an applicant with the right attributes often mean that the skepticism that should be there when hiring is not. And if someone has “baggage” they have a strong incentive to keep it hidden from you. Here are two sobering statistics — 60 million Americans (i.e., one in four adults) have criminal records, and studies suggest that more than 50% of resumes have at least some amount of embellishment or falsehood. We have some excellent tips about how to avoid hiring mistakes HERE. Veterans Day and Thanksgiving Day are almost upon us, and once again my team and I find ourselves wanting to express our thankfulness to so many of you in the dental community. To all of you who have served in the military, thank you for your service and your contribution to our freedom. My own time in uniform had a hugely positive impact on the person I am today, and I expect most of you who served would say the same thing. Again, we thank you. Thanksgiving not only marks the beginning of another holiday season, but it gives us a chance to sincerely express how genuinely thankful we are to be a growing part of your community and businesses. Your trust and generosity have played a significant role in the way we organize and continue to develop our company and services. We appreciate everything that your community does for us, and we always strive to reciprocate with professionalism and gratitude. We hope that you have a wonderful Thanksgiving, whatever way you choose to celebrate. We at Prosperident will be pausing to count our blessings and to give thanks for the friendship, confidence, and loyalty you have shown us. We are deeply thankful and want to extend to you our best wishes for a happy and healthy Thanksgiving. We definitely get involved in some interesting cases. Colorado’s Robin Bernazzani has confessed to embezzing more than $500,000 from the practice where she worked. Did you know that, on average, thieves confess to one sixth of what they actually stole? Read about Robin, along with hundreds of other dental embezzlers, in our Hall of Shame HERE. Like to win great prizes? Well, then you should “Like” our Prosperident Facebook page to be entered in our monthly draw! Click the button below to view our page. And “Like” us while you’re there. Next draw is on October 1st. Miki might be Prosperident’s youngest team member, but she possesses genius-level intellect, and she performs a vital role here at Prosperident. Fitting her work here around her schooling, Miki assists our investigators by preparing and organizing the voluminous documentation we receive daily from clients. Working here runs in Miki’s family; her father, Scott, is Prosperident’s Chief Fraud Examiner, and her mother, Rose, was recently promoted to Senior Examiner. Even with her family’s involvement, Miki’s position came an unusual way. A school exercise required her to apply for a job, so Miki naturally sent her project application to Prosperident. She so impressed our CEO with her submission that he surprised both Miki and her teacher by offering her a real position. It was a great move, and Miki’s efficiency and organizational skills do much to keep Prosperident’s investigations flowing. Well, we made it! September, with all of its scheduling responsibilities and a return to fall and winter activities, has flown by. Time to bring on the Pumpkin Spice anything and everything! The coming month is about changing leaves, crisp nights, the return of our favorite fall television shows, and of course – watching and playing our favorite fall and winter sports. With Thanksgiving just around the corner, it should be no surprise that we want to tell you how thankful we are here at Prosperident for your ongoing loyalty and support. Serving dentistry is our passion, and we are grateful for our ability to be a part of your community. As our business continues to grow, we realize that it is because some of you have made a horrific discovery in the place that you consider to be your second “home.” We are never thankful for that! However, we are grateful to be able to offer you an ever-expanding team of incredibly capable embezzlement investigators and support staff, who are ready to step in, take over and help you get back control of your practice and its finances. My team and I have spent a great deal of time this year honoring our commitment to you with the continued development of our Office Protection System program, as well as the other services we offer. As we see OPS being successfully employed in dental practices as a frontline defense against potential embezzlement, we are grateful to those of you who pushed us to develop a system to safeguard your practice’s financial well-being, before trouble can line its pocketbook with your money. You asked, and we have delivered a viable solution for all of you who wish to stop embezzlement in your practice before it starts. Enjoy your October and all of the beauty and bounty it brings. 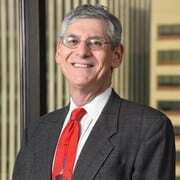 One of our busiest speakers, Dr. Pat Little smoothly blends his investigative work with an active speaking calendar. Prior to his work with Prosperident, Pat was a “wet fingered” guy, owning several dental practices. When repetitive motion issues began to take their toll, Pat returned to college to study accounting. He found us through mutual friend Linda Miles, and we have had the pleasure of working with Pat ever since. Pat’s speaking includes large venues like the Hinman Meeting and the ADA as well as cozy study clubs. Held Over — Summer Giveaway! Last month, we offered no-cost access to Prosperident’s Embezzlement Risk Assessment Questionnaire at no cost. Some people missed the giveaway because of summer vacation schedules, so we are pleased to extend the offer. We normally sell the questionnaire on our website for $139, but from now until AUGUST 15, we are offering it to dentists at no cost. Here is another member of Prosperident’s “Half Million Dollar Club”. 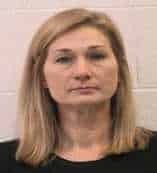 Durango, Colorado’s Robin Bernazzi recently confessed to embezzling more than $500,000 from the dental practice in which she worked. She is currently free on bail, but the justice system is far from finished with Ms. Bernazzi. 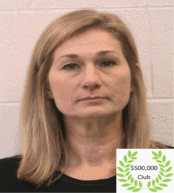 Check out Robin, and many other embezzlers, in our Hall of Shame HERE. Community. The concept has implications, both large and small. Communities offer us a sense of acceptance, appreciation, and a responsibility to contribute to the well-being of the group and its culture. It’s hard to believe that summer is half over and that by the time you receive our September newsletter, you will be moving into your fall and winter schedules, both personally and professionally. Fall, of course, is synonymous with “back to school.” Love it or hate it, education is the first thing that comes to mind for many of us as August quickly becomes September. You happily see your children off to their places of study, and then your focus turns to your own need for continuing education. At Prosperident, we treasure our unique relationship with the dental community, and the opportunities we have been presented to help you increase your knowledge. This year, in an attempt to honor your requests to have additional speakers who are informative and engaging, we are adding two new speakers to the Prosperident Speakers Bureau. We never hide the fact that our educational information and statistics come directly from our work, which is dedicated to investigating financial crimes against your community. Our speakers strive to present you with relevant information (as well as some humor), to protect you from the people who target you as their victims. We love speaking at your events, large and small, and we gain a tremendous deal of satisfaction from being able to interact with you. With your feedback and support, we are proud to be developing even more presentations that we consider to be of value to your community while we wage war against the criminals who have for too long gotten financially fat off of your hard work and trust. Education, not infomercials, is what we offer and we feel privileged to be able to do so. My team and I would like to offer you a heartfelt “Thank you!” for allowing us to be a growing part of your community, and we look forward to meeting you during the fall and winter season of 2018-19 at your events and conferences. Until then, we hope you are enjoying your summer!